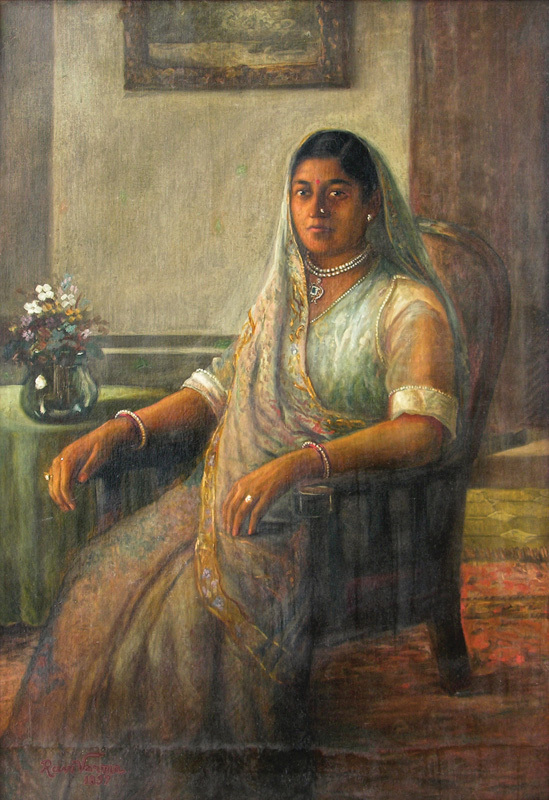 People were a very prominent subject in most of Ravi Varma’s paintings, especially women. His sense of proportion, perspective, rendering of skin tones and the intricate folds and texture in clothing, especially for painting women, made him a sought after portrait artist. Even the ornaments were painted true to the metals and the design chosen was appropriate to depict aristocracy or socio-economic status. The portrait of a Jain lady here is depicted in the most sophisticated manner, equivalent to convey the philanthropic activities that might have been supported by her. The expressions are captured perfectly to put across the composition and accentuate dignity.